The goal of this production is to present a simple yet authentic account of Christ’s nativity. By joyfully encouraging children to be a part of this project, they will be invited to build their confidence and love of the faith. Young Catholics will learn that they are a vital part of the Church as they help share the Gospel account with others. And most importantly, children can draw closer to Christ Jesus. This skit is designed to be performed by children in grades K-4. 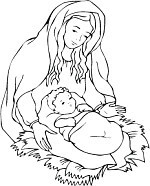 A narrator will present part of the Nativity account, while actors deliver simple lines and movements on stage or a set. In-between the action, appropriate Christmas hymns will be sung to match the scenes. For your convenience, lyric sheets and music scores are included in this packet. A choir of children should be used to accompany the performance. 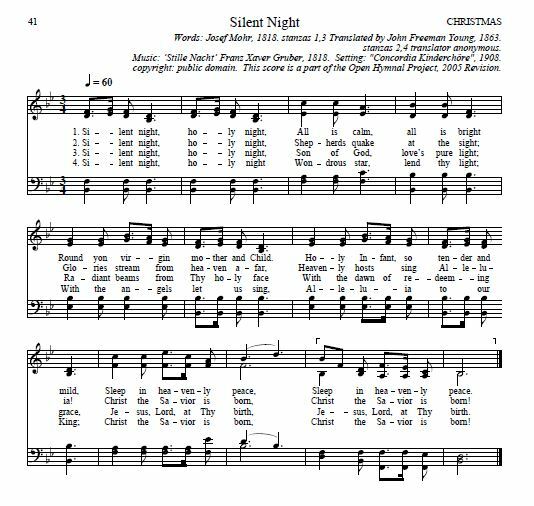 If a children’s choir is not available, consider having each class or grade level of children lead and sing one of the carols presented in the skit. 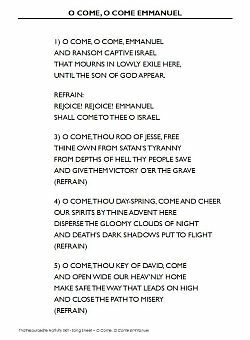 As well, the audience should be invited to participate in the pageantry by singing the opening and closing hymns along with the children. Preparation for this skit can be as simple or elaborate as desired. 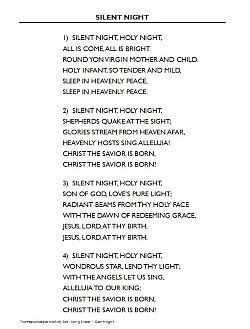 Perform it on a small stage, in a parish, a hall, or even a classroom. There are very few required setting props so the skit performance can take place almost anywhere. The setting and costumes may be created to fit the needs of your parish or class. A few suggestions have been made for props and actions in the director’s script. Embrace Simplicity. To help young players, we have tried to use simple, clear language and incorporated easy stage movements. We wanted children to be able to easily follow the five scene storyline. 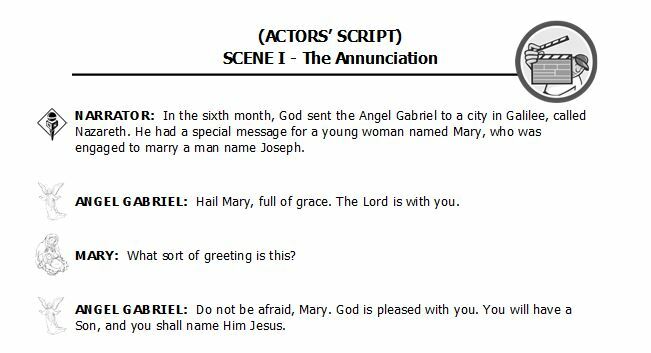 All spoken lines may be found in the Actors’ Script, and an oversized font has been used on all student pieces to aid young readers. Lyric sheets also display an oversized font and a margin of generous white space to allow them to be placed in a duo-tang report cover, if desired. 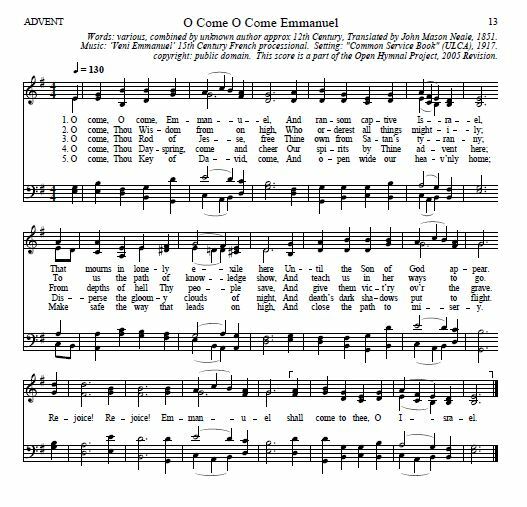 For the Hymns Used in This Skit. Not a Member Yet? Register Now For Instant Access! Join today and get access to this resource and 1000’s more!